WHAT DOES “SUSTAINABLE TOURISM” MEAN? Skål International is an Affiliated Member of the UNWTO whose mission is to promote the development of responsible, sustainable and universally accessible tourism. 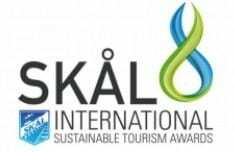 The Sustainable Tourism Awards were launched by Skål International following the United Nations declaration of 2002 as the Year of Ecotourism and the Mountains to acknowledge best practices around the globe. 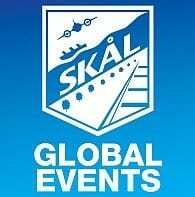 Skål, as an international organisation of the industry leaders, is a powerful force in the travel and tourism industry to initiate change and encourage the conservation of the environment in order to promote tourism and travel. The awards presented on these grounds, also serve the purpose of acquainting the world with this new concept that puts emphasis on the importance of the interaction of the physical, cultural and social environment the traveller’s responsibility and the need for active community participation for Sustainability. A total of 648 applications from all over the world have been submitted since the launch of these prestigious awards in 2002. Any company from the public and private sector, NGOs and government agencies from all over the world linked to the tourism industry. All sustainable operations and activities must be implemented by the company, NGO or agency applying for the award. Projects that are yet not in operation are not eligible.